After directing his first film ‘Hay Kay Nay Kay’, Prasad Oak is ready for his second film as a director. The title of this film is ‘Kaccha Limbu’ with tagline “Sadhya Mansanchi Special Goshta”. 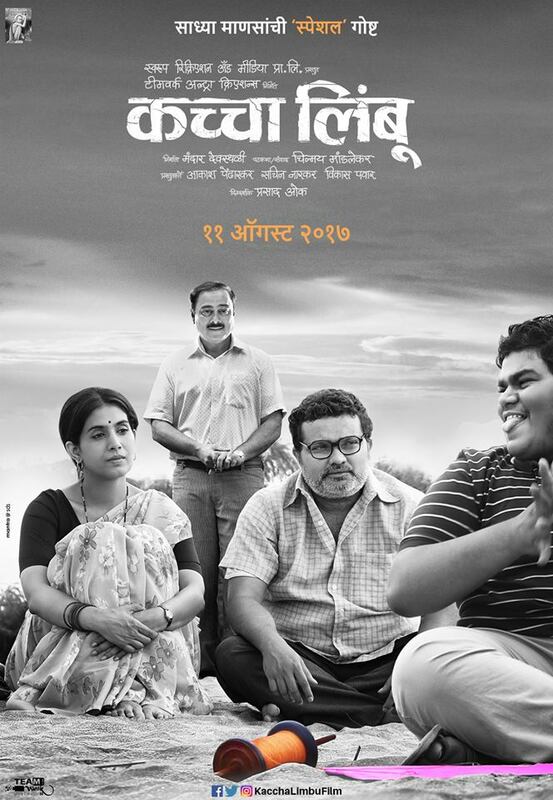 ‘Timepass’ director Ravi Jadhav is making his acting debut with ‘Kaccha Limbu’. Recently the first look poster is released showing the lead actors Sonali Kulkarni, Sachin Khedekar, Ravi Jadhav and Manmeet Pem. ‘Kaccha Limbu’, produced by Mandar Devsthali and directed by Prasad Oak, releases on 11th August 2017.